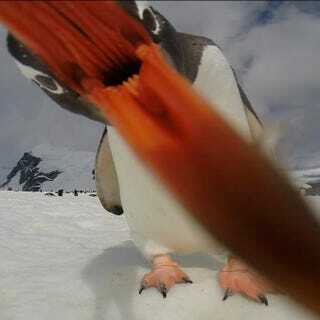 Someone from the adventure travel agency G-Adventures left a GoPro camera on the ground, in front of some penguins. Then this happened. Penguins are such adorable creatures when they are not eating your head.